Uniblue DriverScanner is a reliable driver tool (Microsoft Gold Certified Partner), that will efficiently update old system drivers on your PC, ensuring your hardware runs at its best and result in better computer performance and stability. Uniblue DriverScanner scans your computer to provide a list of drivers that need to be updated. With single-click convenience, it will then search and download the latest updates and safely install them on your PC. A driver is an absolutely essential piece of software which helps your computer to communicate with hardware and devices. If a computer is missing key drivers, then hardware such as printers, keyboards, and even video cards may cease to work entirely. Although drivers can be updated manually, identifying outdated or superseded drivers can take a long time. Moreover, pinpointing just the right driver from the manufacturer's website, then downloading and installing it can be laborious and technically risky. 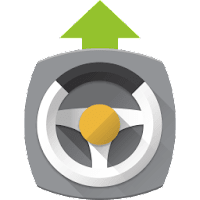 With an easy-to-use interface, DriverScanner makes driver updates fast and safe, allowing all the necessary changes to be made with only a few simple clicks. Disclaimer: Direct downloads for the lastest version of Uniblue DriverScanner 4.1.1.2 are provided by the official software's author, we can't guarantee safety, availability or download speed. Moreover, we don't and we won't provide any pirated/illegal versions or tools. We recommend you to avoid it as these methods can harm your device. If you like the software, buy it to support the developers. (We provide software discounts for many worldwide brands).